Try our NEW Linkages construction kits – brought to you by Timberkits. 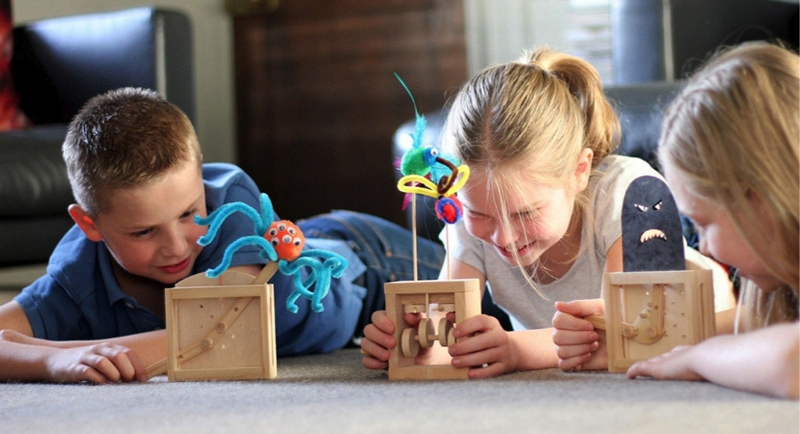 Timberkits supply our MAD Museum with many different automata building kits (find out more here) but they have recently expanded on their educational range. For some time now we have been offering the Cam construction kits which prove very popular with school groups and families looking for a wet weather project. We are now offering Cam kits and Linkages kits. Both priced at £3.00 per kit when bought as part of a school/ home education group. If you are interested in finding out more about these construction kits, please look at our Educational Page or Contact Us to find out more. We have been working with Timberkits since we opened MAD in 2012. They are a fantastic, small independent business located in Wales. They seem to constantly come up with amazingly imaginative and witty moving sculptures for customers to buy and their products seem very popular in our shop.